Screwed the pooch, six ways from Sunday, deities on crutches, fubar'ed, etc. I blew it like a blind ref with a grudge and six seconds remaining. I haven't talked much about the ideas for Sailor's Warning because I'd not sewed even a test square together. It was little but an ephemeral, wacky idea, and there was no point doing much about it until I had my materials under control. I changed up the quilts page a bit recently to give some better insight to what's going on in my head over here. 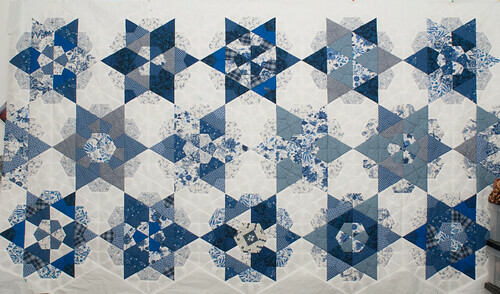 Drupal lets me be flexible with my content types, and some time ago I set up a content type for my quilts. If you look at http://domesticat.net/quilts you'll see my current works-in-progress are roughly ordered by state of completion. I thought I'd explain the terms; I get the impression sometimes that my friends think this process is really inscrutable, when it's not. Read more about What's your quilt process?